He does that awkward-but-cute thing just like JLC! You probably first caught a glimpse of Joshua Garcia in the reality show Pinoy Big Brother back in 2014 when he was still a young, awkward, 16-year-old boy from Batangas. Fast forward to 2017, Joshua is now 19 and one of ABS-CBN's fast-rising male stars, with three movies and three teleseryes under his belt. People are also calling him the next John Lloyd Cruz, and we think he just might be! Here are nine reasons why. 1. He's got the same boy-next-door charm down pat. 2. Just like John Lloyd, Joshua doesn't have six-pack abs! He probably wouldn't be considered a hunk, but those eyes sure can make any girl's heart jump with kilig. 3. The boy can act, too! Have you seen him in the MMFF top grosser Vince & Kath & James, in his daily soap The Greatest Love, and in his recent MMK episode with Julia Barretto? It's not always easy for such a young actor to have the depth that's needed especially for complicated roles, but Joshua has proven that while there is still room to improve, he CAN act with the best of them. He's also been attending countless Star Magic workshops to hone his skills after PBB, which brings us to the next point. 4. He takes his craft seriously. In his YES! magazine interview, he shared "Nineteen years old pa lang ako, pero sobrang sineseryoso ko 'yong craft ko." He admitted though that he only took acting seriously when he was cast in the KathNiel movie Barcelona: A Love Untold, where Joshua played a supporting role as Daniel Padilla's Spain-based cousin. "Ayaw nila ng pangit na pelikula. Kailangan talaga makipagsabayan. Pinipilit ko, ang hirap, ang galing ng mga kasama ko," said Joshua. 5. And he doesn't just do drama! Just like JLC, his comedic timing is impeccable! That's something that doesn't come by so often with actors. This versatility will be a valuable tool for Joshua's career. 6. He can nail awkward-but-cute. Remember John Lloyd's roles in movies like Close To You (with Bea Alonzo and Sam Milby) and My Amnesia Girl (with Toni Gonzaga)? Both show Lloydie as not so sure of himself, placed in awkward situations, but he still manages to be endearing and attractive. We think Joshua would be a shoo-in for this type of role, too. 7. He talks like JLC! He's also a fun interview subject when he mixes serious answers with LOL hirits. Need proof? Watch these two videos and see the similarities! 8. It may be too soon, but his recent team-up with Julia Barretto has the makings of the John Lloyd-Bea Alonzo magic. Joshua's got the boy-next-door charm + Julia has the mestiza good looks + they've both got mad acting chops. Will we be seeing remakes of One More Chance or Miss You Like Crazy down the line? Let's wait and see! 9. While he's hit it off quite well with Julia, we also like that he's not limited to one leading lady. 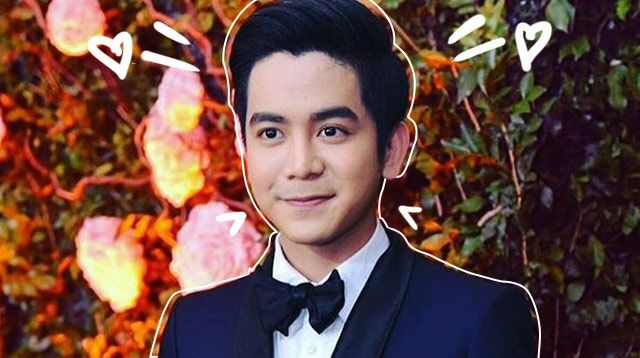 Just like JLC who has also been successfully paired with Sarah Geronimo, Toni Gonzaga, and Jennylyn Mercado, Joshua has worked with Loisa Andalio, Kira Balinger, and Jane Oineza.